Check out the first Mindful Camping article here! Fresh water is the most important drinking-water source on earth. New Zealanders are incredibly lucky to live in an amazing environment which provides us with some of the most pure drinking water on the planet. Our geography, climate and topography all combine to create a surplus of amazing, fresh water running down from our beautiful mountains, through our stunning rivers and underground aquifers, and out into our incredible oceans. This is one huge part of the reason our country is so lush and green. It is so important that we collectively make sure our fresh water stays fresh – both for the protection of New Zealand’s own beautiful local environment, and also as a mindful shift towards greater consciousness of the real global value of this resource. So while camping, you’ll recognise that it’s important to mitigate our pollution of fresh water sources as much as possible! When camping we’re always at risk of bringing pollutants into our rivers, lakes or other fresh water sources. First and foremost, there is a very real threat facing our natural waterways: non-native algaes and other organisms. 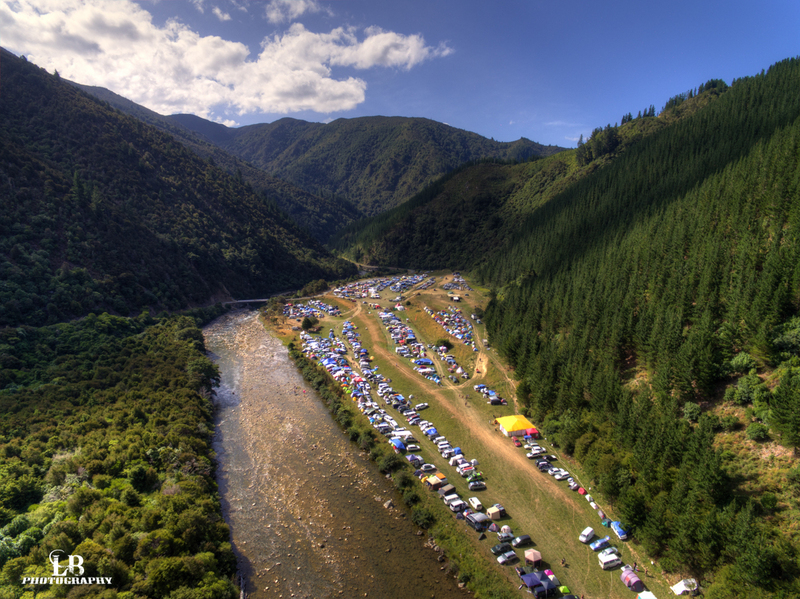 Many beautiful New Zealand rivers have sadly been choked with didymo and other invasive species, and it is our responsibility to halt the spread of these pests – and the only way we can do this is to be incredibly careful not to cross-contaminate! Please think long and hard before you use any swimwear, boating gear or floating toys such as boogyboards or inflatable rafts in natural waterways. If you have used an item somewhere else, wash it thoroughly before heading to a new swimming hole or river. As this issue is widespread, this rule must be adhered to strictly if we stand any chance of halting the spread of these threats to our waterways. While spending time in the outdoors, we’re also at risk of damaging our waterways through any camping waste that escapes (despite our best efforts! ), as well as human waste in or close to the water. Human waste in the water is pretty nasty – not only can it make people really sick, but is also gross to have floating around ruining everyone else’s enjoyment of our beautiful clean waterways! Another way that campers can take care of our beautiful, clean waterways is to refrain from using any chemicals in them. Everyone knows that using your standard old shampoo and body-wash in a river is probably not going to be having any positive effects on any flora and fauna downstream! Triclosan and climbazole, two chemicals traditionally found in shampoo, have been found to negatively affect aquatic life – and there are a multitude of other new chemicals out there whose impact on water borne critters hasn’t yet been tested. Luckily for the squeaky-clean camper, there are some great biodegradable alternatives to all those environmentally harsh chemicals out there. An awesome local alternative from right in our back yard are the products of Christchurch-founded Ethique (https://ethiquebeauty.co.nz). These are all vegan, fair-trade, and cruelty free, as well as containing no nasty chemicals. All their products come in completely recyclable cardboard packaging. Of course, best-case scenario you shouldn’t really need to use any toiletries in our natural waterways while camping at all – after all, you’ve got your trusty facecloth, and a bit of elbow grease will get the job done just fine! So – right up above there are some very legitimate reasons and some great ways to protect our beautiful rivers, lakes, estuaries, and oceans while out camping. Hang in there (or if you’d rather not, don’t) for the next article – keep it clean and keep it green, campers!